It's that time of year when a vast water playground, just an hour's drive from Perth, becomes a frenzy of activity as fishermen – both professional and amateur – come to feast on blue swimmer crabs (sometimes called 'manna' or 'blueys'. John Newton jumped aboard a crabbing and eco adventure vessel on its first crab hunt of the new season in the Peel-Harvey estuary and its waterways, which are recognised as twice the size of Sydney Harbour. It was early on a Sunday morning – (well, for me, anyway) - as the 20 year-old Rebecca Sue – a customised pontoon crabbing boat – headed out of the city of Mandurah Harbour on a five-hour 'cruise' during which all on board were guaranteed a crab lunch. Local professionals nabbed 80 tonnes of blue swimmer crabs last season (1 November to the end of August), with a similar amount caught by the public. Crabbing master Kevin Mahney was soon pointing out the rules that in this iconic fishery the daily bag limit is 10 blue swimmer crabs per person and the daily boat limit is 20 – a Recreational Fishing from Boat Licence is required when fishing for crabs or getting to a fishing spot with the use of a powered boat. The minimum size for blue swimmers is 127mm across the carapace (the widest part of the shell) and any undersize crabs must be thrown back in the water as soon as possible. This will give them the chance to grow big enough to breed at least once – helping to keep the fishery sustainable. 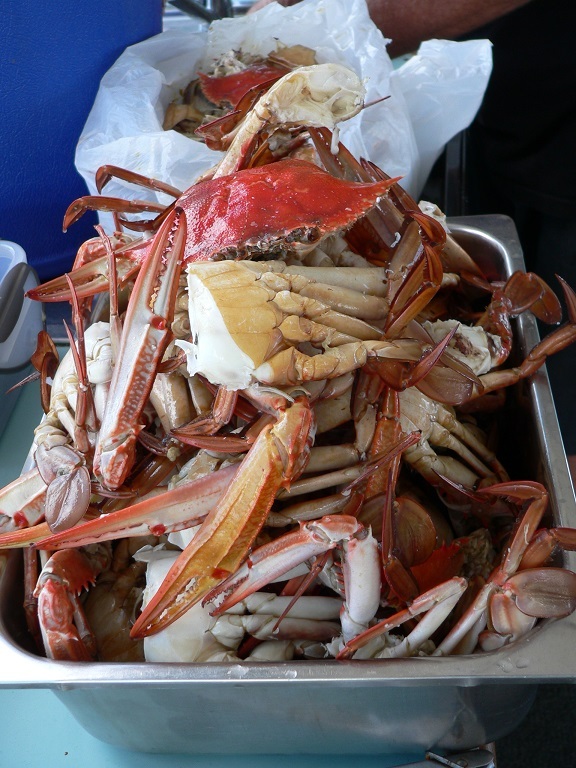 Breaking the rules can be a costly business, with the West Australian Department of Fisheries saying that while fines may be issued, if crabbers do the right thing there will be plenty of crabs for the future for everyone to enjoy. It wasn't long out of the harbour before Kevin, who has a commercial skipper's licence, was baiting the drop nets with chicken wings and fish heads and giving them to people on board to throw them "like a frisbee" into the water which, in many parts, is just above knee-deep. Rebecca Sue, with its maximum of 20 passengers, heads for Boundary Island – a renowned crabbing spot in shallow waters. And it's not long before the scoop net army is off the boat and scouring for blue swimmers. 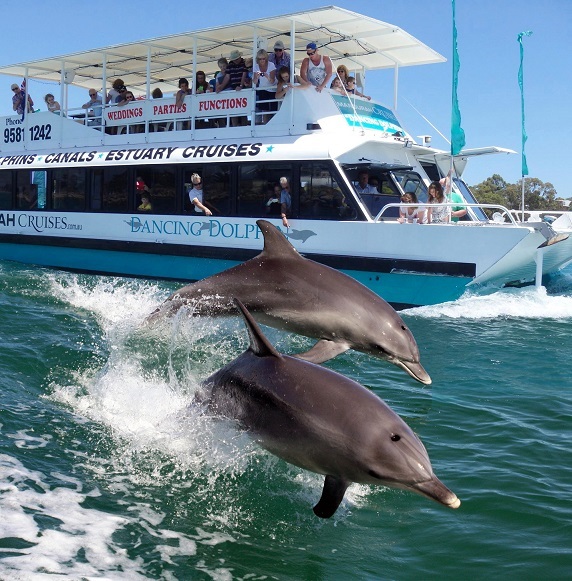 Mandurah Cruises runs the crabbing and eco tours every day in season. 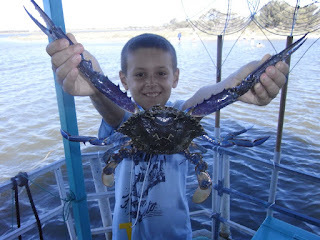 The cost of $150 per person and $90 for children (aged 4-14), includes a crab and barbecue lunch on board. Wading shoes are provided – even sunscreen. The award-winning company also operates dolphin and scenic canal cruises. A touch of B&B class from Bali has come to one of Western Australia's most popular tourist destinations. It's Bali @ Avalon at Falcon, near the popular seaside resort of Mandurah, just over an hour's drive south of Perth. 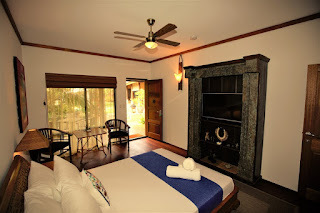 A five-minute walk from stunning Avalon beach, the property was bought 18 months ago by Canadian Bob Pond and Queenslander Ray Weier, who have turned part of it into a B&B featuring two Balinese-style villas - Villa Dua (meaning two in Indonesian) and Villa Tiga (three). The busy duo "inherited" a huge collection of indoor and outdoor Indonesian furniture, including Buddha and other stone statues, before starting the painstaking job of transforming the suburban house they bought into a Balinese hideaway. All outdoor decking was restored and the swimming pool area and gardens were given a rejuvenated tropical look. 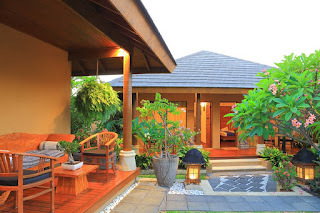 Highlight of the garden area is a large wood and rattan cabana complete with day bed, mood music and subtle lighting. A small temple, like those found by the roadside in Bali, is also a feature. The latest project is a Balinese-style outdoor kitchen with a built-in barbecue, hot plates, microwave and fridge, while hosting small events and weddings are also among future plans. 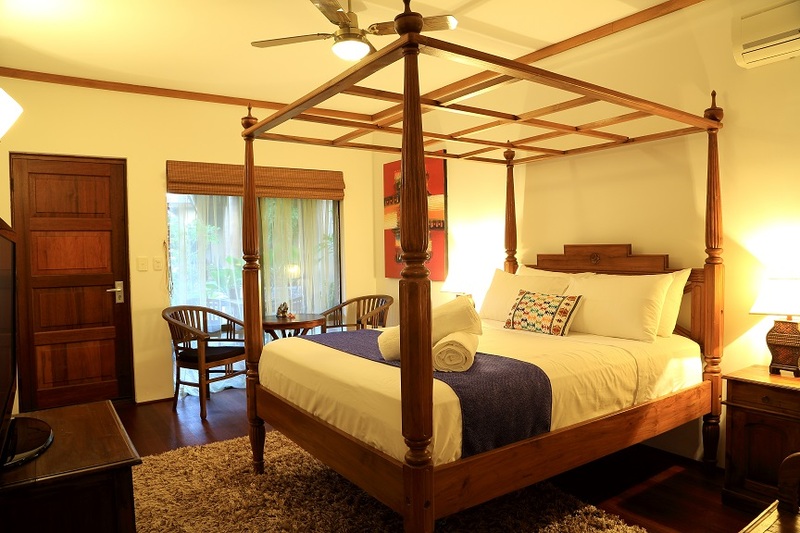 Open all year round, Bali@Avalon is located 11 kilometres south of Mandurah and the two villas each cost $225 a night, including continental breakfast, and $175 a night with continental breakfast during weekdays. 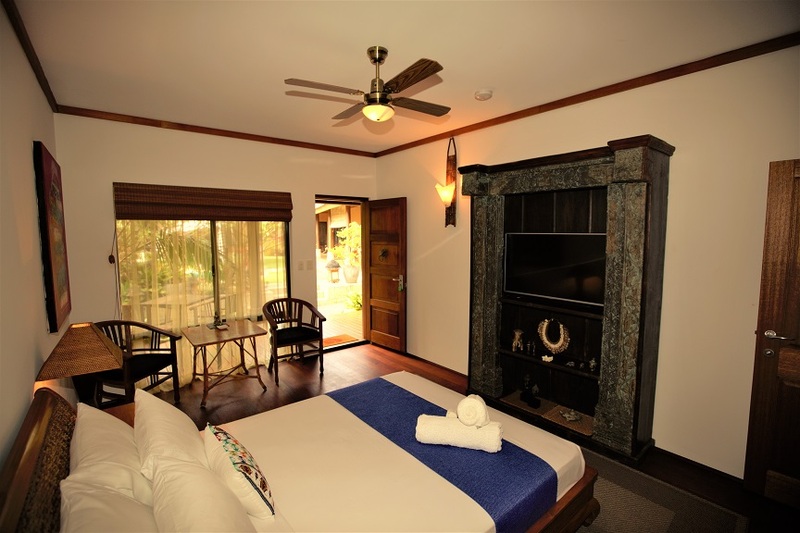 Both villas have tea and coffee facilities, queen-size beds, dedicated indoor and outdoor tables and chairs, safe, fridge and microwave. Glassware, tableware and cutlery are provided, as well as bath and pool towels. Struth! World's longest rail tunnel now open.